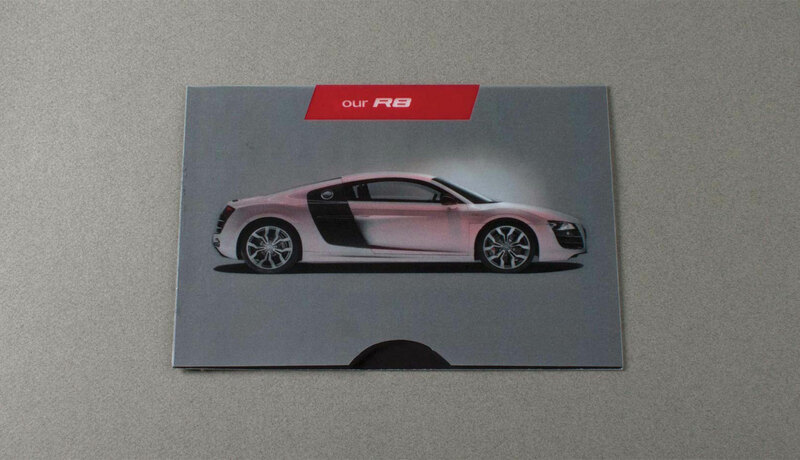 This mailer is for new owners of the Audi R8. 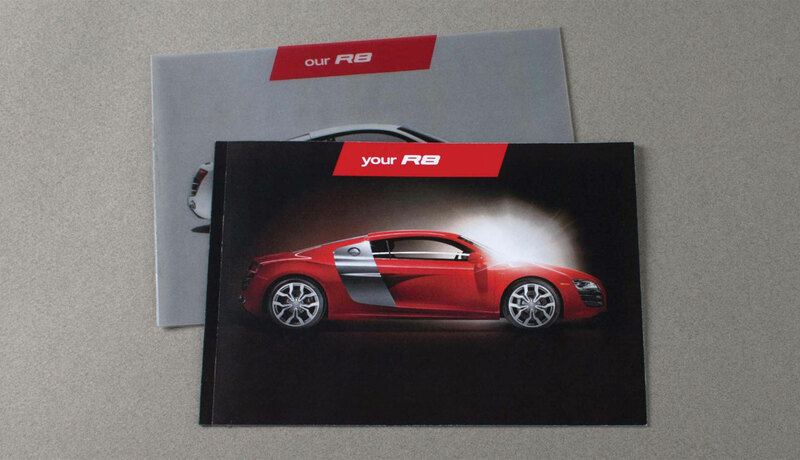 It is meant to be a first response to their purchase before their Audi R8 Welcome Kit arrives. It is also meant to be a last chance to be able to change their car before it is finalized. 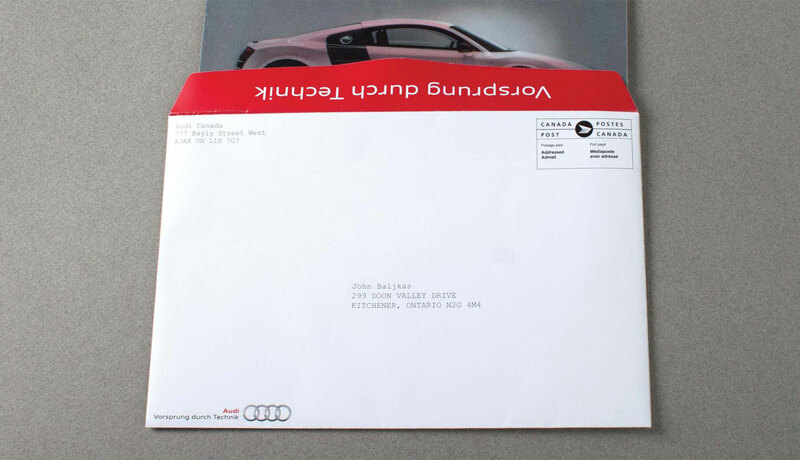 The secondary objective is to get the customer to purchase the Audi Driving Experience, which is Audi's driver training program. 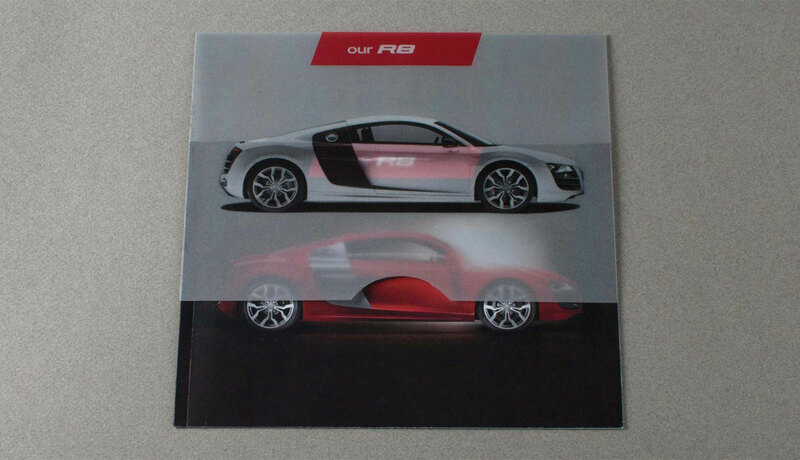 The slipcover of the mailer is meant to show the customer a stock Audi R8. 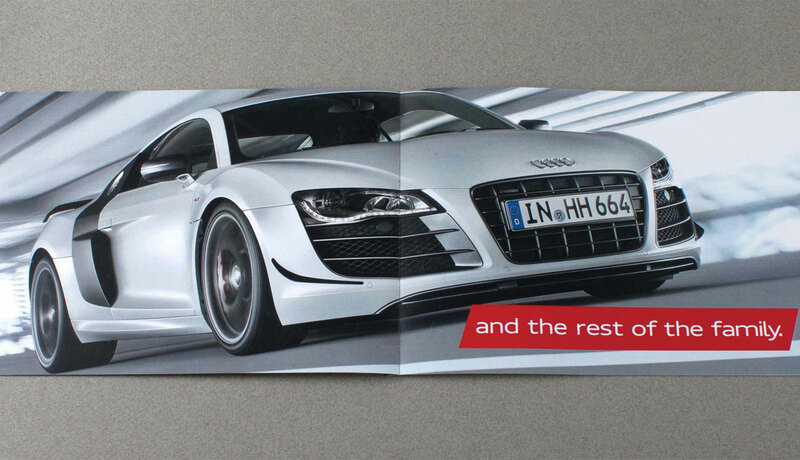 Then the slipcover unveils the customers own personalized Audi R8. 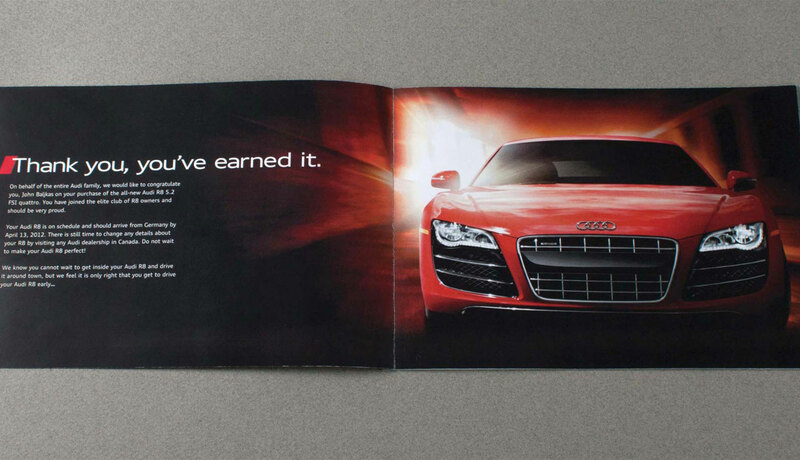 Personalization would continue inside the booklet.